In our dental practice, when you select IV Sedation for your dental procedures you receive the care and attention of our team at our Implant and Surgery Group. 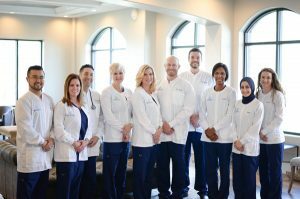 This is a special team of dentists, CRNA’s and dental assistants who are specially trained and prepared to administer your IV Sedation treatment. There aren’t many dental practices that have the training, professional certifications and ability of our team at the Implant and Surgery Group and we invite you to learn more about the many benefits this specialized group provides. IV Sedation is an incredibly safe and effective way to have your dental work done, especially if you’re a dental phobic or simply want your next visit to our office to be as relaxing as a day at the spa. We’re ready and waiting to provide this type of experience for you!